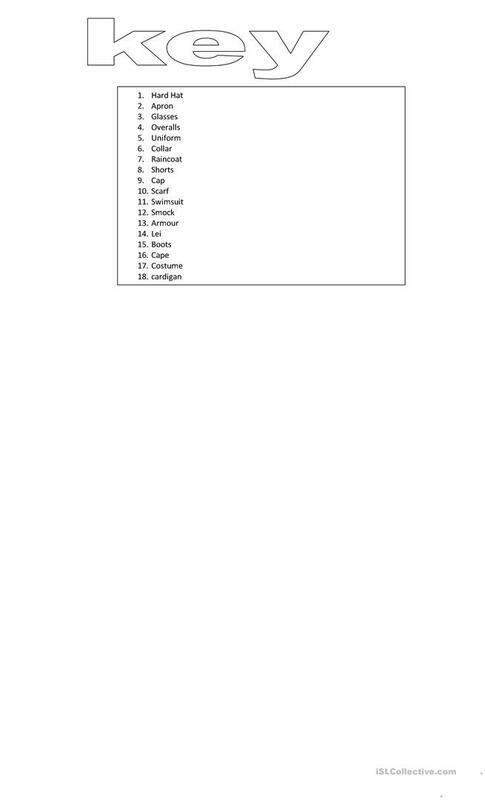 This is an EDITABLE worksheet that improves students analytical skills and English simultaneously. Students read each sentence and choose the best option to complete the sentences. Happy downloading.. 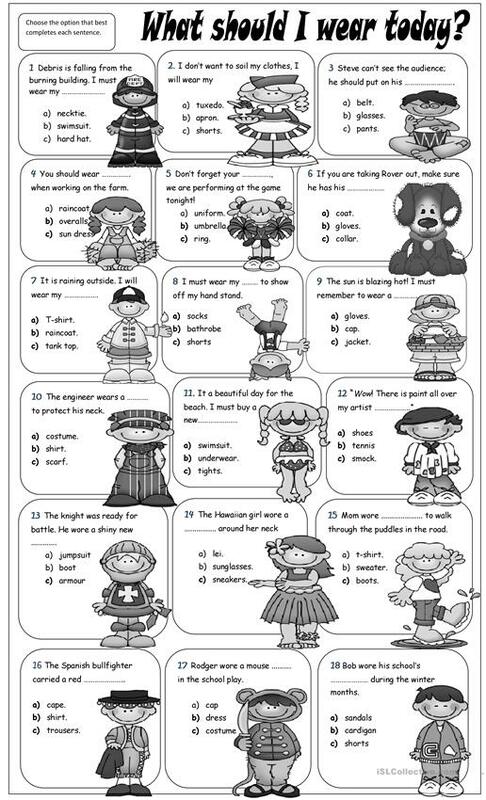 The above downloadable worksheet is meant for elementary school students at Elementary (A1), Pre-intermediate (A2) and Intermediate (B1) level. 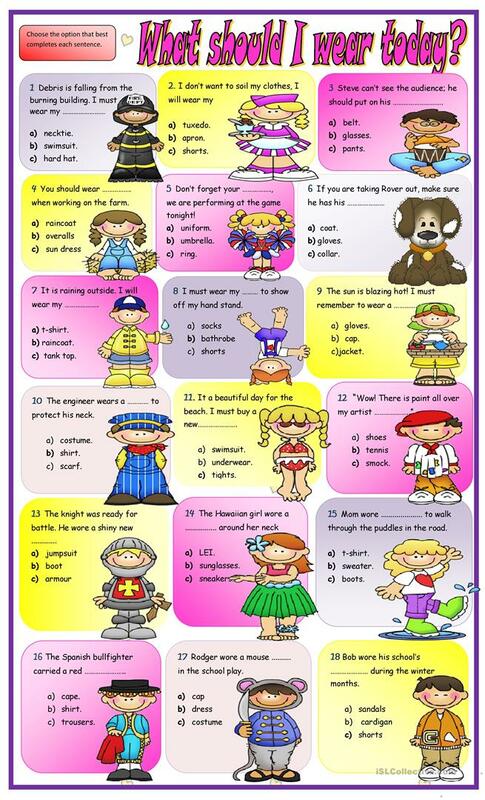 It is valuable for practising SHOULD in English, and is useful for enhancing your learners' Reading and Writing skills. It focuses on the topic and words of Clothes, fashion. You will find the key at the end of the worksheet.